When you are applying for a faculty position at a college or university, your cover letter will differ significantly from the standard business cover letter. Your cover letter may be reviewed by Human Resources department staff to determine if you meet the basic qualifications for the job. If it does, it will be forwarded to a search committee comprised mostly of faculty members and academic deans. These individuals will be accustomed to reading more lengthy academic cover letters and resumes or curriculum vitae (CV) that would be customary in the business world. They will also often be more interested in the philosophical foundations for your work than the typical business recruiter. Your initial challenge will be to pass through the Human Resources screening. Review each of the required qualifications included in the job announcement and compose statements containing evidence that you possess as many of the skills, credentials, knowledge, and experiences listed as possible. Also, address as many of the preferred qualifications as possible. Give concrete examples to support your assertions about your strengths. Your faculty reviewers will typically have an interest in your philosophy and approach to teaching and research within your discipline. They will also be evaluating how your background fits with the type of institution where they work. Research the faculty in your target department to assess their orientation and expertise. Emphasize points of intersection between your philosophy and the prevalent departmental philosophy. If you possess traditionally valued areas of expertise which are not already represented by the current faculty, make sure to point those strengths out in your cover letter. Tailor your letter to the orientation of the college and adjust the mix of emphasis on teaching and research based on the expectations in that setting. Colleges will typically want to hire new faculty who are passionate about their current research and not resting on past research credits. Describe a current project with some detail and express enthusiasm for continuing such work. Try to do the same with any evolving teaching interests. Highlight any grants and funding you have received to undertake your research activities. Incorporate any awards or recognition which you have received for your teaching or research activities. Some text should also be devoted to other contributions to the college communities where you worked such as committee work, advising and collaborations with other departments. Your cover letter should be written in the same basic format as a business cover letter. An academic cover letter is typically two pages compared to a single page for non-academic letters. Here’s an example of the appropriate format for a cover letter and guidelines for formatting your letters. It’s important to submit all your application materials in the format requested by the college or university. You may be asked to email, mail or apply online via the institution’s applicant tracking system. Send only what is requested. There's no need to include information that the institution hasn't requested. However, you can offer to provide additional materials like writing samples, syllabi, and letters of recommendation in the last paragraph of your letter. Follow the instructions in the job posting for submitting your application. It should specify what format the college wants to receive. A cover letter, CV/resume, and contact information for three references. A cover letter (PDF format) of interest indicating your qualifications and reason for application, Curriculum Vitae (PDF format), and a minimum of three professional references, including phone and email contact information. A letter of interest, a Curriculum Vitae, a teaching vision statement, a research vision statement that specifically indicates how you would interact with or collaborate with other department faculty, and three references. A cover letter, CV/resume, and contact information for three references. Please upload these as ONE document in RTF, DOC or PDF format. You can use this sample as a model to write an academic cover letter. Download the template (compatible with Google Docs and Word Online), or read the text version below. I am writing to apply for the position of assistant professor of English with an emphasis in nineteenth-century American literature that you advertised in the February 20XX MLA Job Information List. I am a Dean’s Fellow and Ph.D. candidate at XYZ University, currently revising the final chapter of my dissertation, and expecting to graduate in May 20XX. I am confident that my teaching experience and my research interests make me an ideal candidate for your open position. Over the past five years, I have taught a variety of English courses. I have taught a number of American literature survey courses, as well as writing courses, including technical writing and first-year writing. I have extensive experience working with ESL students, as well as students with a variety of learning disabilities, including dyslexia and dysgraphia, and disabilities like ADD and ADHD. I pride myself on creating a classroom environment that accommodates the needs of my students while still promoting a high level of critical thought and writing skills. Some of my most satisfying experiences as a teacher have come from helping struggling students to grasp difficult concepts, through a combination of individual conferences, class activities, and group discussion. I know I would thrive as a teacher in your college, due to your belief in small classroom size and individualized support for students. 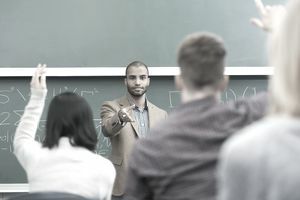 Not only does my teaching experience suit the needs of your school and department, but my research interests also fit perfectly with your description of the ideal candidate. My dissertation project, “Ferns and Leaves: Nineteenth-Century Female Authorial Space,” examines the rise and development of American female authors in the 1840s and 1850s, with a particular focus on patterns of magazine publication. I argue that, rather than being submissive to the requirements of the editor or publisher, female authors, in fact, developed a more transparently reciprocal relationship between themselves and their readers than previously has been assumed. I apply recent print-culture and book-history theory to my readings of novels, magazine articles, letters, and diary entries by various female authors, with a particular focus on Sara Willis (known by her pseudonym Fanny Fern). I plan to develop my dissertation into a book manuscript and continue to research the role of female writers in antebellum magazine culture, with a particular focus on the rise and influence of female magazine editors on literary culture. My research interests have both shaped and been shaped by my recent teaching experiences. Last spring, I developed and taught a course on the history of print culture in America. I combined readings on theory and literature that addressed issues of print with visits to local historical museums and archives. My students conducted in-depth studies on particular texts (magazines, newspapers, novels) for their final papers. I believe my interdisciplinary teaching style, particularly my emphasis on material culture, would fit in well with the interdisciplinary nature of your English department. I am therefore confident that my teaching experience, my skill in working with ESL and LD students, and my research interests all make me an excellent candidate for the assistant professor of English position at ABC College. I have attached my curriculum vitae and the two requested sample publications. I would be happy to send you any additional materials such as letters of reference, teaching evaluations, and past and proposed course syllabi. I will be available to meet with you at either the MLA or C19 conference, or anywhere else at your convenience. Thank you so much for your consideration; I look forward to hearing from you. I am writing to apply for the position of Assistant Professor of Biology with a focus on molecular biology at XYZ University, as advertised in the February 20XX issue of Science. I am currently a postdoctoral fellow at the University of XYZ in the Department of Molecular Biology, working under the advisement of Professor Linda Smith. I am confident that my research interests and teaching experience make me an ideal candidate for your open position. My current research project, which is an expansion on my dissertation, “[insert title here],” involves [insert research project here]. I have published my dissertation findings in Science Journal and am in the processing of doing the same with my findings from my current research. The laboratory resources at XYZ University would enable me to expand my research to include [insert further research plans here] and seek further publication. Beyond my successes as a researcher (including five published papers and my current paper in process), I have had extensive experience teaching a variety of biology courses. As a graduate student at Science University, I served as a teaching assistant and guest lecturer for both biology and chemistry introductory courses and won the university award for outstanding teacher’s assistant. As a postdoctoral fellow at the University of ABC, I have had the opportunity to teach Introduction to Biology as well as a graduate-level course, Historicizing Molecular Biology. In every class, I strive to include a blend of readings, media, lab work, and discussion to actively engage students with the material. I would love the opportunity to bring my award-winning lesson planning and teaching skills to your biology department. I am confident that my research interests and experience combined with my teaching skills make me an excellent candidate for the Assistant Professor of Biology position at XYZ University. I have attached my curriculum vitae, three recommendations, and the two requested sample publications. I would be happy to send you any additional materials such as teaching evaluations or past and proposed course syllabi. I will be available to meet with you at the ASBMB conference in April or anywhere else at your convenience. Thank you so much for your consideration; I look forward to hearing from you.